The California High-Speed Rail Authority (CHSRA) has released a set of updated alignment alternatives that have been developed as a result of continued engineering and environmental technical evaluation, including environmental justice issues, as well as on going community and regulatory agency input. The three alignment alternatives that will be carried forward for study in the draft environmental document are illustrated in the map. Although the refined routes would eliminate risks to our historic downtown and civic center areas (including the Police Department, City Hall, Public Works Operations Facilities, the San Fernando Middle School, and the Cesar Chavez Monument), our community remains vulnerable to the initially proposed route. 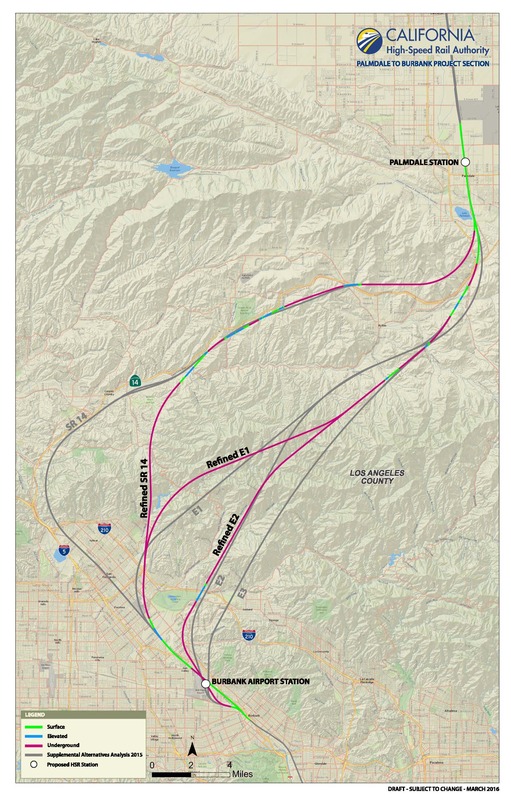 We need your help to continue to STOP THE HIGH-SPEED RAIL PROJECT THROUGH SAN FERNANDO!